BOISE, Ida. — It's tax day and if you're still filling out those forms or you've already sent yours in, the Better Business Bureau is encouraging you to stay alert. Scammers may call or leave a voicemail, posing as someone from the IRS, a tax agent or another form of government agent. Scammers could also use a fake name and bogus IRS identification number. 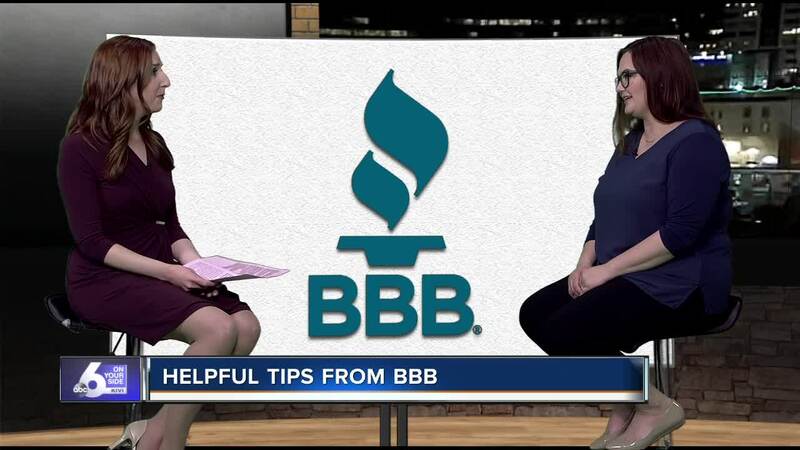 The BBB says the scammers try to scare taxpayers into believing there is an issue with their taxes or tax return and threaten jail time or an arrest if a payment isn't made to correct an issue. Some BBB scam reports show a caller becoming hostile and insulting, which is just one way you can tell it's a scam call. Other red flags include the caller asking for your credit or debit card number or the demand for an immediate payment. The first official contact from the IRS will be via mail and the real IRS will never demand immediate payment or threaten you over the phone. Scam artists may also target your emails, pretending to pose as IRS agents. The goal is to get you to click on a link and provide personal information or download an attachment that may be virus-laden. The IRS does not contact taxpayers through email. Any emails from someone claiming to be from the IRS should be sent to phishing@irs.gov and deleted. For more information on how to protect yourself and your personal information, check out the BBB website here .